Honda Civic Hybrid Battery Life – The Truth! The Honda Civic Hybrid was a highly recommended hybrid vehicle for many years in the aughts, until the batteries in some of the newer models started dying prematurely. Specifically, the 2009 and 2010 models were hamstrung by a notoriously short Honda Civic hybrid battery life. Typically, a hybrid battery lasts between six and 10 years, and by law, the batteries come with an eight year/100,000 mile warranty. Unfortunately, many drivers were reporting failed batteries after only three or four years. The first warning signs came as early as 2013 when nearly one in three drivers told Consumer Reports they needed a hybrid battery replacement in the past year, which Consumer Reports called a “shocking failure rate.” It was a stain on an otherwise reliable and even beloved brand, which was one of the first to bring some much-needed competition to the Prius-obsessed hybrid market. The Civic’s hybrid batteries powered the car’s Integrated Motor Assist system, and Honda eventually released a software patch that extended the Honda Civic hybrid battery life. For drivers whose battery died outside of warranty coverage, new hybrid batteries would set them back anywhere from $2,000 to $4,000. 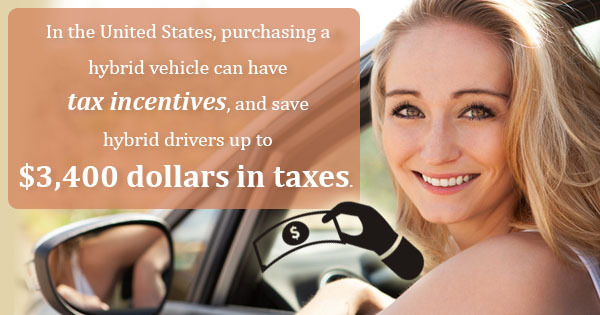 Many U.S. hybrid drivers benefitted from tax incentives during those years, and the battery replacement costs effectively cancelled out the $3,400 they saved in taxes. Fortunately, unlike some other automakers who shall remain nameless (but you know who you are), Honda responded proactively to the Civic’s battery issues. Not only did they release the software patch, but the company also released a Technical Service Bulletin in 2012 that extended the warranty on the Honda Civic hybrid IMA battery to 11 years or 137,000 miles. Even customers who already replaced their battery out of pocket received an additional limited warranty of three years or 36,000 miles on the new battery replacement. While the shorter Honda Civic hybrid battery life was a disappointment to many loyal Honda customers, generous warranty coverage helped cover the costs for many drivers. Now that it’s 2016, anyone who purchased or replaced a hybrid in 2008 or 2009 should begin planning for a replacement. Even if the warranty is no longer valid, costs of new hybrid batteries have gone down in recent years, and hybrid drivers should have a plan for replacing their battery eventually.